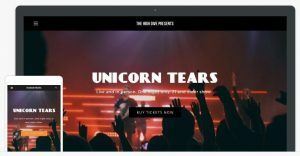 This Weebly review is going to give you the full rundown of the world’s easiest to use website builder. Weebly is a website builder that features an easy to use drag and drop interface that is simple to master and fairly effortless to play with. Reading this Weebly review, we hope that you can get an idea of the features it provides and work to make an educated decision on whether Weebly is right for you. One good thing to mention in the beginning is that Weebly is available in many languages (English, German, French, Italian, Spanish, Polish, Portuguese, Russian, Japanese, Chinese, Turkish, Dutch, Danish, Swedish and Norwegian). Also, the company’s affordable pricing options, simple website editor, and optimized mobile sites have attracted a lot of positive attention, and each month Weebly-hosted websites receive roughly 325,000,000 unique visitors. What’s more, Weebly’s mobile app is the highest rated website building app in the App Store and in Google Play. Weebly is definitely one of the world’s largest and most popular drag-and-drop website builders nowadays. The company was founded in 2006, since then it has experienced exponential growth. Two years after its launch, in 2008, it quickly reached the one million user mark. This growth has continued to this day. Weebly now hosts over 45 million websites all across the globe and that number is growing every day. The company’s founders, David Rusenko, Chris Fanini, and Dan Veltri, began working on Weebly project while studying at Penn State in Pennsylvania. In around March of 2007, Weebly’s site editing interface was released to the public. Over the last eight years, this company has been largely successful at its initial goal: delivering a simple, user-friendly service that is accessible to almost any person, regardless of skill or previous experience. Weebly prices run around $8.00 a month. You can get a discounted price, if you go for a longer billing cycle by paying for example for a period of more than one year at a time. In this matter, you may also want to check out our Weebly deals page. To dig more into the details, Weebly provides five different pricing plans, ranging in price from free to $49/month. The details of each plan are specified here. Note that the features of the paid plans can be sampled for free for a period of 14 days. Payment is accepted via credit/debit card and PayPal. There’s a 30-day money back guarantee with Weebly, That means that all Weebly paid plans are refundable in full within 30 days of purchase. You may use another hosting provider such as BlueHost to build your website. We don’t usually recommend this because it may cause limited functionality in the builder and less support. However, it can save you money in the long run. You may also buy a domain name via another registrar such as Go Daddy or Name Cheap to save some money. You can host any domain name on Weebly and they are more than happy to get you set up. Weebly is an amazing product that lets anyone, regardless their skills and experience to start his/her own professional website. It’s been constantly updating itself with new stuffs. So when you compare it with its competitors like Wix.com and others, it stands out especially with its advanced design templates and its very eay to use Site Editor. In short, if you are looking for a simple, yet professional website, then Weebly is a great option. You can build a fully functional website with Weebly in under an hour or less. So if all you need is a home, about, location and contact page Weebly is a great choice. No, we’re not trying to sell Weebly here. But as website builders go, Weebly is without a doubt one of the best website builders in the market today. What Weebly gets right (that many website builders don’t) is its mix of structure and open-endedness. Certain parts of websites need to be structured (navigation, logo, footer) in order to make things like global edits easy. While other parts of a website should be open-ended (such as the content of the page). In this way, a good website builder shouldn’t be simply a blank canvas editor. Instead it should help you create structured websites. By the way, to help decide if Weebly is right for you, We recommend that people try the free version and see if they like the features and if Weebly fits for them. You don’t need a Weebly review when you can review Weebly yourself. This is one of the best features of Weebly and a lot of the time it’s what will get you hooked on the Weebly website builder. Weebly Themes Selection. Weebly offers hundred of ready-to-use themes on its theme’s gallery. Also Weebly tends to release a few new themes on a regular basis. This is great for designers and website owners that like to have fresh themes. Also there are many third party developers that are creating premium Weebly themes. It does also mean that you will always have premium developer support, fresh themes that feature the most modern coding and design techniques. This also means that the selection of third party themes can help inspire you on just how you want your website to look. Weebly Site Editor. The Weebly editor is well-designed and straightforward. It allows you to take specific, pre-programmed features (image galleries, slideshows, contact forms, text boxes, video and audio players, product advertisements, integrated maps, custom HTML injections, etc.) and organize them in unique configurations. In short, Weebly’s ease of use stands out. It simply couldn’t be easier to find your desired element and place it where you wish. Weebly Mobile Editing. 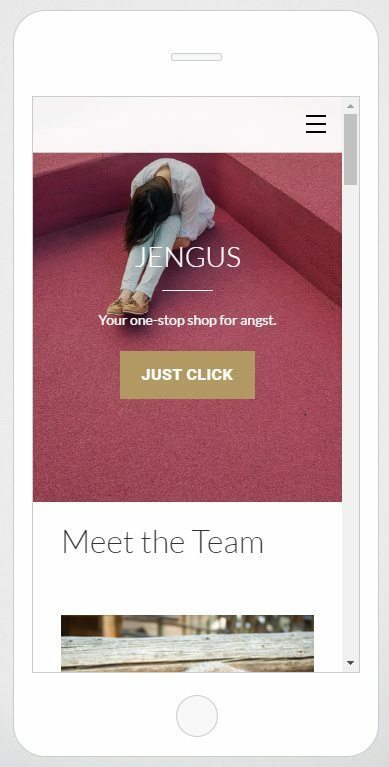 The mobile editor is a neat little tool that enables users to see/edit their sites as though they were being viewed from a mobile device. 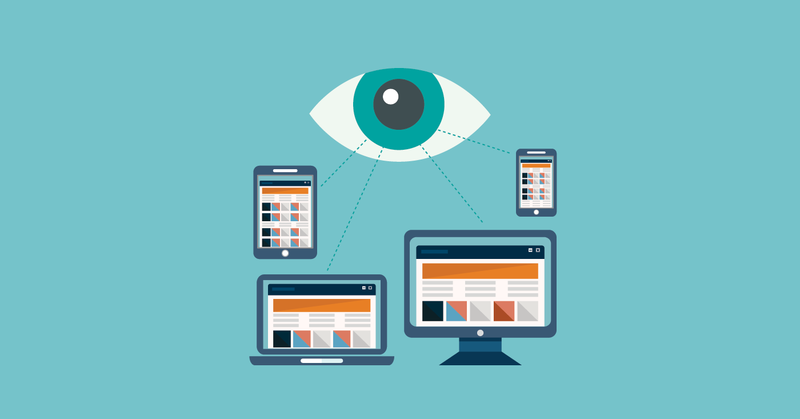 With that, you will ensure that you will always have a mobile-friendly website, that is truly responsive and shows up on any screen. This is a truly powerful and simple feature that Weebly offers its users. We’re listing here some of Weebly’s most popular features. As far as in-house features go, there aren’t many surprises here, but what is on offer is imminently reliable. And what Weebly doesn’t cover themselves can likely be covered by the Weebly App Center. Weebly Pages: The page editor allows for the addition or removal of entire pages from a website. Users may add a limitless number of standard pages (including both shop and blog pages) and create subpages as well. Weebly Blog: Weebly offers a very powerful blogging tool. The tool itself has a pretty simple setup that allows users to edit post titles, drag elements (such as text boxes and images) from the editor to incorporate into posts, list author information beside each post, host RSS feeds and visitor comments, integrate Facebook “Like” and Twitter “Tweet” buttons, and schedule post times, among other things. Weebly’s blog is considerably more robust than that of many recent mobile-focused website builders, whose “blogs” are little more than a way to arrange the images and text you input. Weebly Contact Form: Weebly’s contact form is highly customizable, which makes it a useful, adaptable means of reaching out to your site visitors. Weebly Store: Weebly offers the possibility to launch your own store and start selling online. Its one of the advanced features that Weebly’s users appreciate. Weebly Image Editor: Weebly offers a very easy to use, optimized image editor tool. There are over 50 filters you can apply, with some other fancy focal features. Weebly Forums: Weebly provides users with the opportunity to create community forums. This opens up a myriad of intriguing possibilities and is one of the company’s most inspired features. Google AdSense with Weebly: Users can drag and drop a Google AdSense section anywhere on their sites to help generate revenue. This feature comes fully integrated with the editor. Video Streaming: Video streaming is one of the most original and appealing features available in this program; it is well-designed, fluid, and adaptable, and allows users to stream videos directly from YouTube and/or Weebly’s own custom HD video player. Weebly App Center: Weebly provides an App Center with 208 different third-party apps to choose from, should you find your site needing some extra oomph. Thanks for going through this review, We’ve tried to cover everything that’s related to Weebly so we help you decide and learn more about it. As a whole, all that we can say is that Weebly is a solid and practical piece of a web-based application. Though it is, perhaps, a trifle unremarkable, this program’s exponential growth and large customer base say a great deal about its overall track record and efficacy. After all, a company doesn’t attract over 45 million customers with mediocrity. Weebly has a strong foundation and provides essential, intuitive tools. The program is admittedly fairly basic, but there are some extras – like integrated video players and the option to add community forums – that are well-conceived additions to the feature set. In short, if you’re looking to get a functional website online for yourself or your small business with an absolute minimum of fuss, you’d do well to consider Weebly. 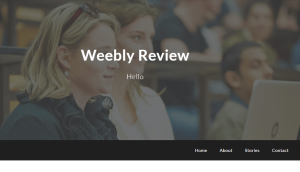 We hope this full Weebly review helped you understand the pros and cons of using Weebly. You may also want to check these actionable tips to drive more traffic to your new Weebly website. If you liked this article, then you may consider subscribing to our WeeblyTutorials YouTube Channel for Weebly video tutorials. You can also find us on Twitter and Facebook.